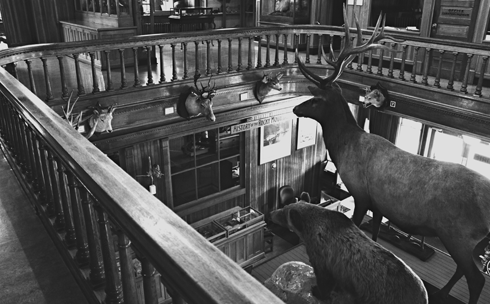 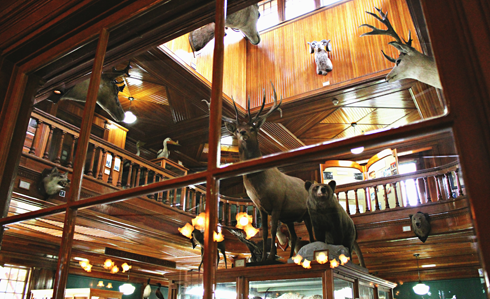 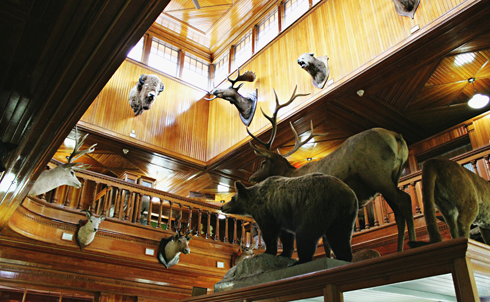 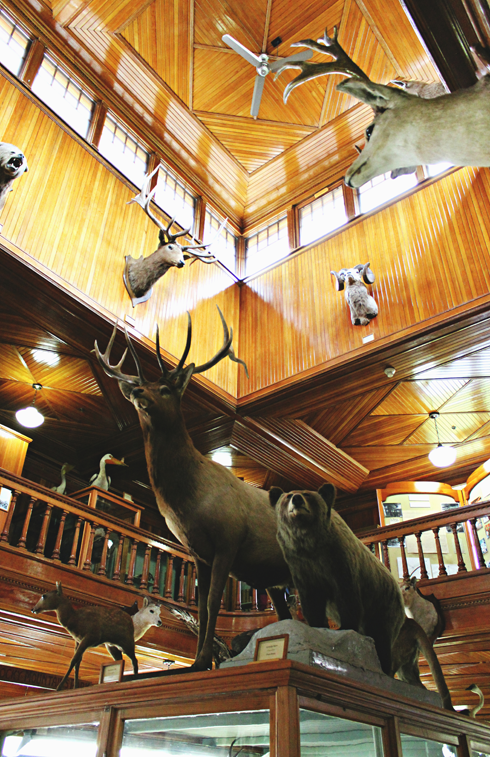 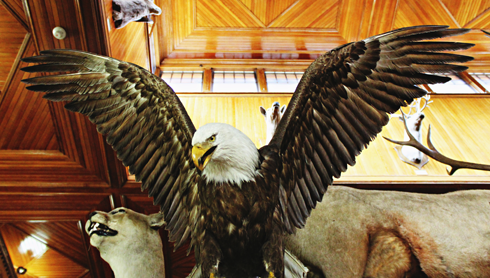 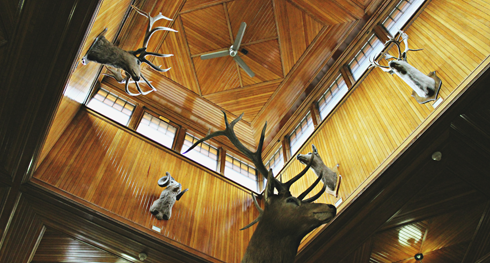 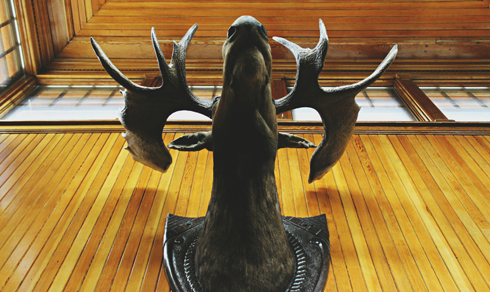 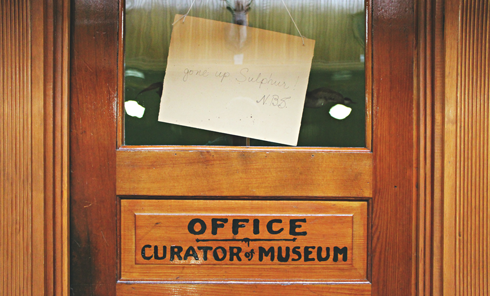 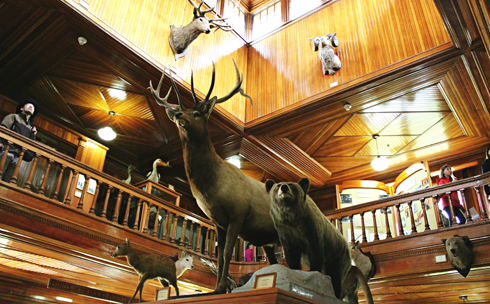 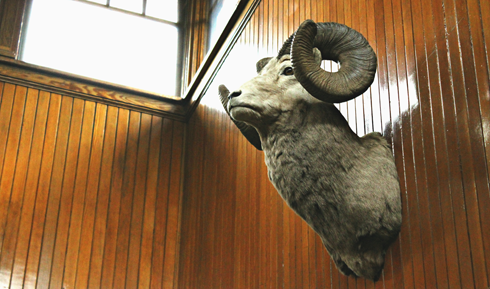 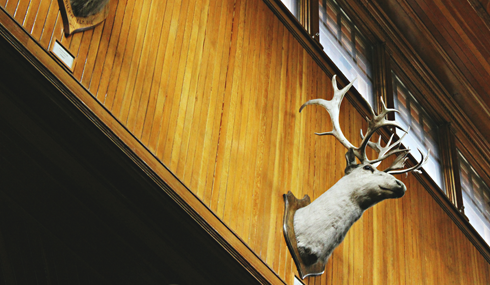 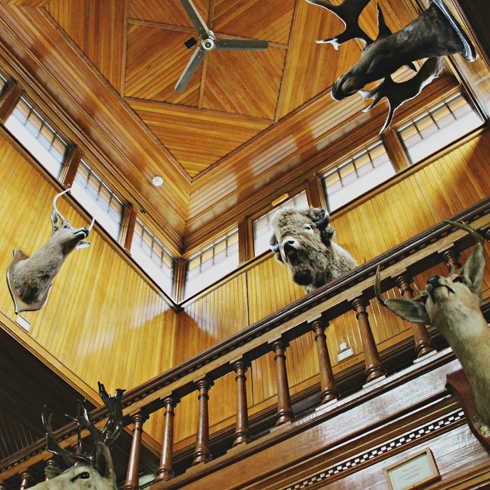 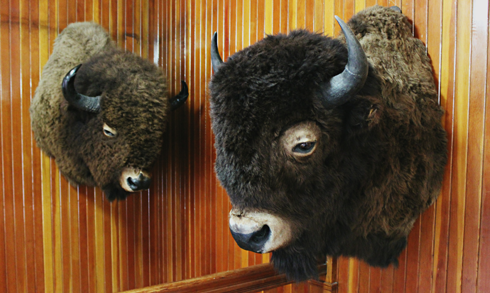 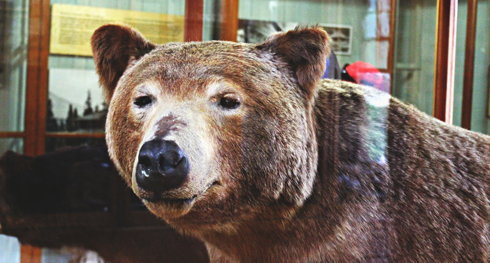 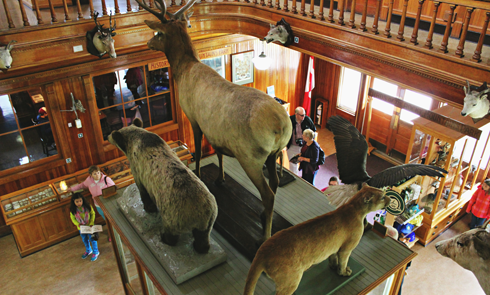 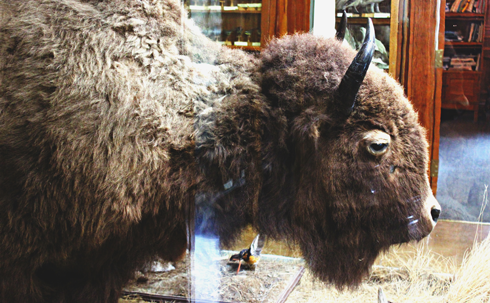 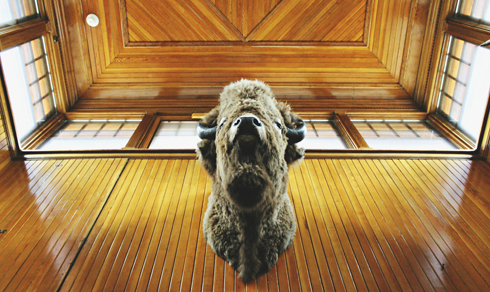 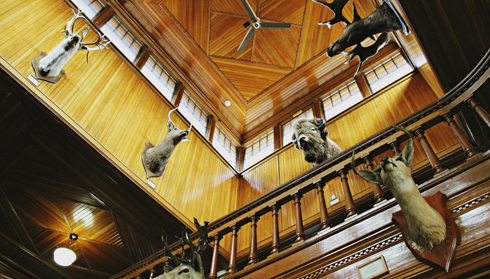 Established in 1895, the Banff Park Museum in Banff, Alberta was created to house a collection of taxidermied animals, birds, and various specimens found throughout Canada's Rocky Mountains. 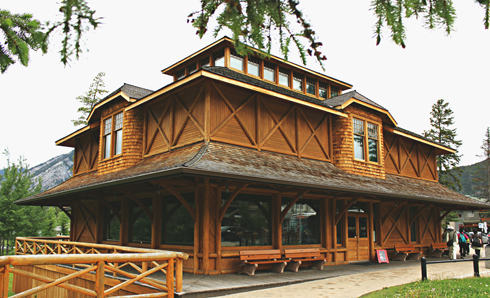 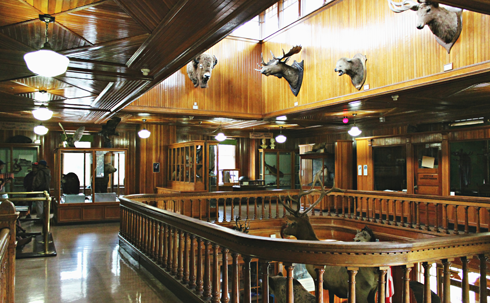 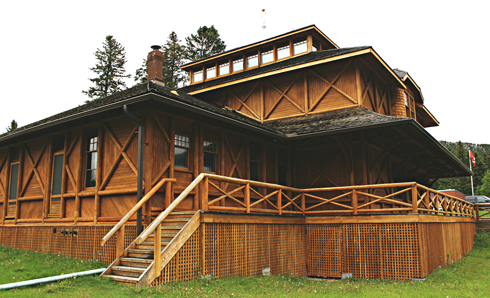 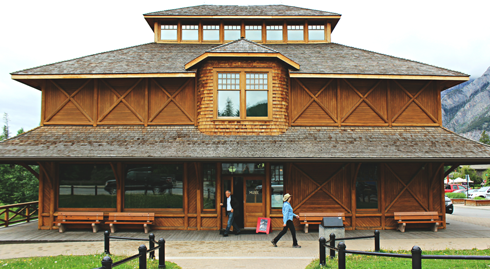 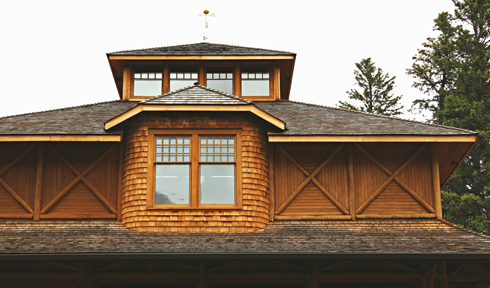 This rustic lodge-style museum building was constructed in 1903 and is currently the oldest building maintained by Parks Canada. 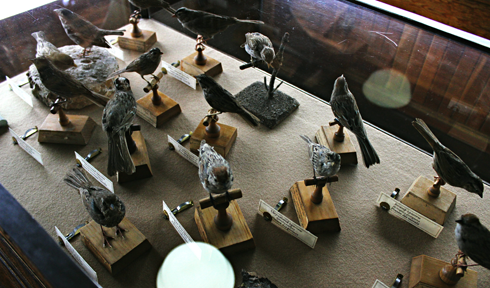 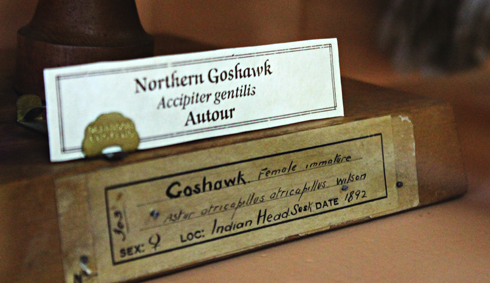 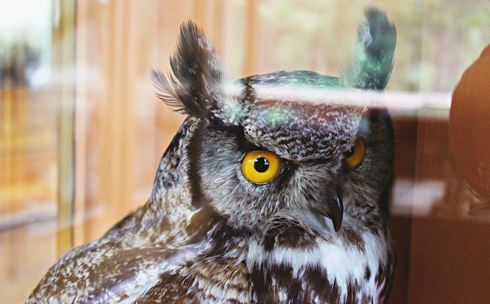 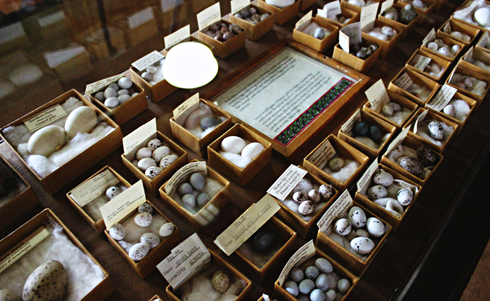 Interestingly, between 1905 to 1937 there was a small zoo and aviary located behind the museum. 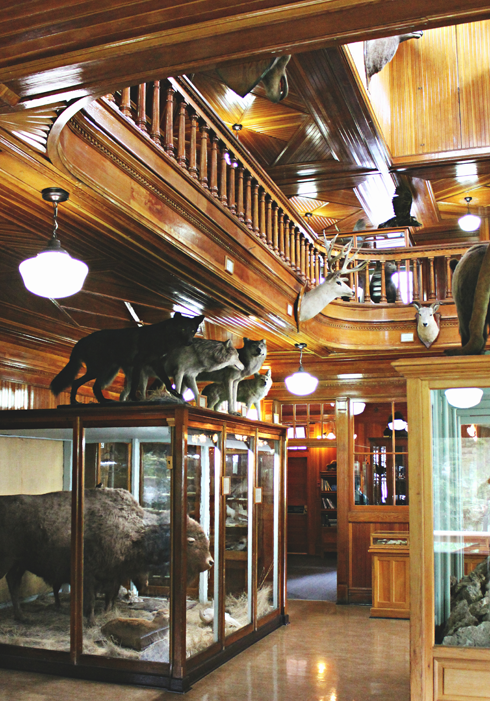 When it closed many of the animals were donated to the Calgary Zoo. 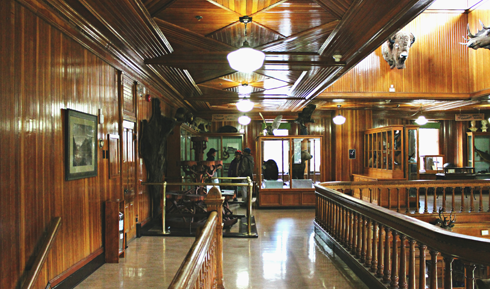 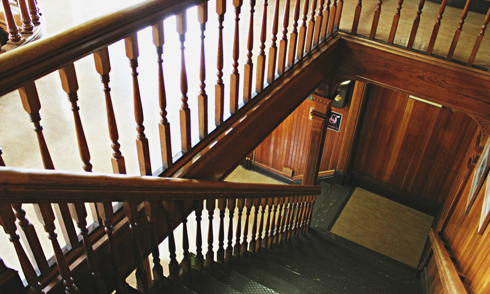 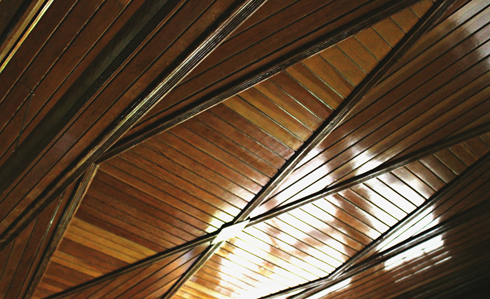 I found the collection impressive and appreciated the stunning woodwork and architecture of the structure. 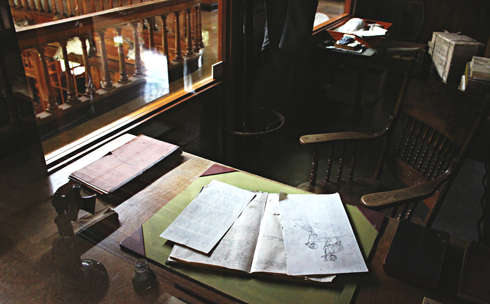 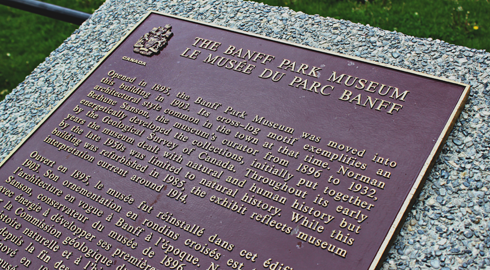 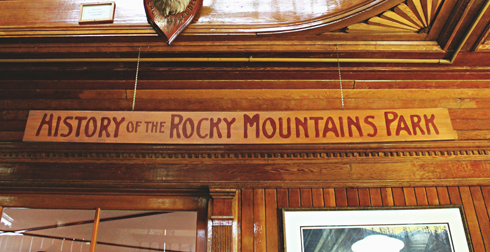 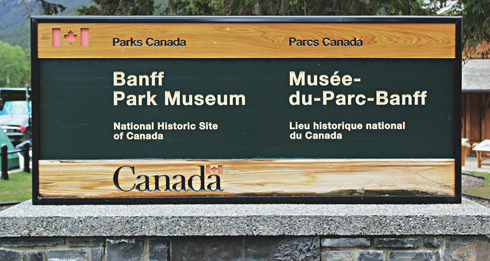 In 1985 the Banff Park Museum was declared a National Historic Site of Canada.